I have a small solar setup in the shed outside to power some lighting and a couple of raspberry pi's. Normally if I go into the shed during the day and start using power the Victron solar charge controller will automatically feed power in to cover the load (where possible). I noticed today that it wasn't. I did a bit of googling and connected the controller to my laptop and couldn't find any issues. The load output was still working but no power was being taken in from the solar panels. The lights on the controller still seemed to indicate that it was trying to charge. I have an amp meter on the solar side so I knew there was no power going in. So I disconnected the panels and battery to restart the controller and it just starting working again. I assumed that it crashed or something (which was disappointing as I really like it and want another). After I left it to top up the battery I tried again and noticed the same issue. Looking at the shed temperature I found it was just hitting 40c when the issue occurred. This time I didn't reboot the controller and left it. This afternoon once the temp dropped below 40c the charge controller automatically kicked in again without any intervention on my part. So good news it seems that the controller didn't crash but simply limits the charging if above 40c. I'm happy with that and now know for future. I just upgraded the server that runs this website to Debian 9 (finally). This broke some things (old KSES html cleaning code). I found a version I half worked on from ~5 years ago and did an upgrade to that (uses new htmlpurifier and replaces KSES). That version had a half written new authentication hash system (thanks Michael from 2014). That is now somewhat fixed! Honestly not too bad considering the code is almost 15 years old! Get a SQLite viewer/editor. There is a Firefox plugin that can do this. I ended up writing this in pages but here is the PDF. 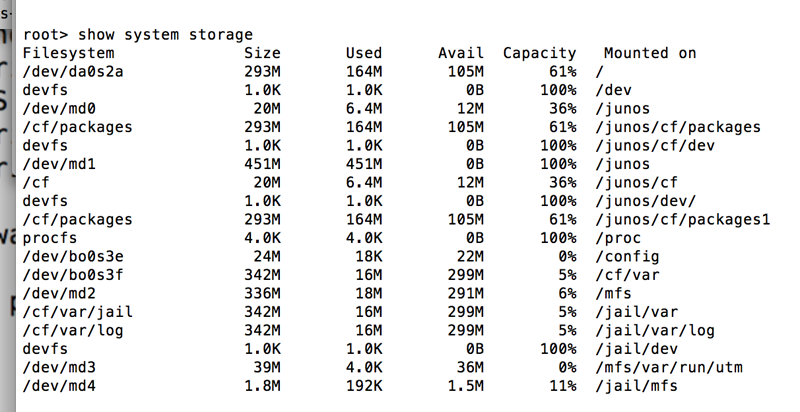 I have a 2012 MacBook Pro with 256GB of storage. Currently I have a 50GB windows partition to play a few games. Recently I wanted to play the new Wolfenstein game but it requires 40GB of storage! Unfortunately I just don't have enough storage space on this laptop. So I have a Synology DS213+ at home with a pair of 3TB drives in Raid 1, this is used for Time Machine backup and backing up my home server. I decided to see if I could run the game off an iSCSI drive from the DS213+. I created a standard file based iSCSI Lun (200GB of thin provisioned storage) and then attached it to my Windows 8 bootcamp install. I then proceeded to to install Wolfenstein directly on to the new drive, I decided to connect my computer via gig ethernet as I was sure that it would be a bottleneck on wifi. Anyway the game works great (other than the graphics card being a touch slow). In fact based on the cacti graph I think it would work fine on wifi. After playing about 30 minutes of the game it looks to average about 2-3MB/sec. So am I actually surprised at how low I/O requirements the game needs. Now I need to be on the local lan to play, but that doesn't matter for me and saving me from spending a bunch of money upgrading the SSD. I suspect the DS213+ could probably cope with another machine doing a similar thing, the CPU is a bit slow so the new DS415+ would be much better (plus having 4x1GB nics). So 12.1X47 just came out and no longer supports SRX devices with less than 2GB of ram. 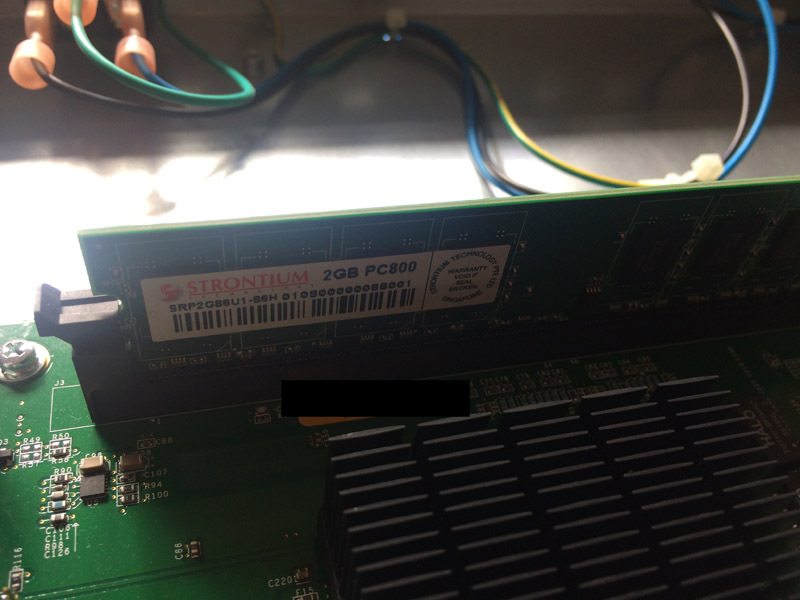 I have a couple of spare Juniper SRX240Hs (so first gen devices with 1GB of ram) and would like to test 12.1X47 in my lab, unfortunately I don't have any 2GB ram devices in my lab. I wouldn't recommend ever using this in production, but I am sure it will work fine for the lab. The only difference between the 240H and the 240H2 is that the H2 has 2GB flash and 2GB ram, CPU is the same. 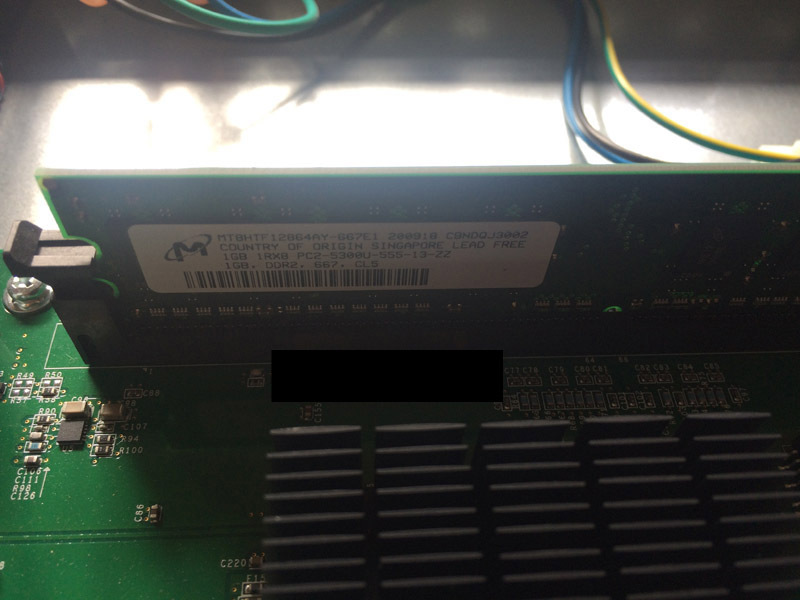 Now you can actually upgrade the ram in the SRX240H to 2GB, it just uses standard DDR2 PC ram (you just need to find a 2GB stick, I used 800MHz but 667MHz ram should work too). Take off the SRX case and swap out the ram, easy! Unfortunately this isn't enough for 12.1X47 to install, the installer checks the model number not the amount of ram. 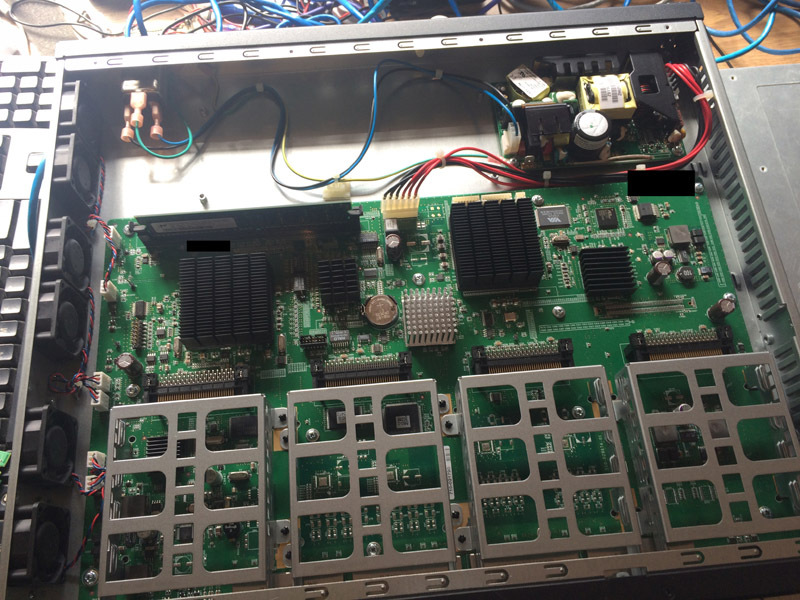 So it is time to modify junos-srxsme-12.1X47-D10.4-domestic.tgz to work on 240H devices. I did this on Mac OS but any *nix system will work, it isn't that hard. 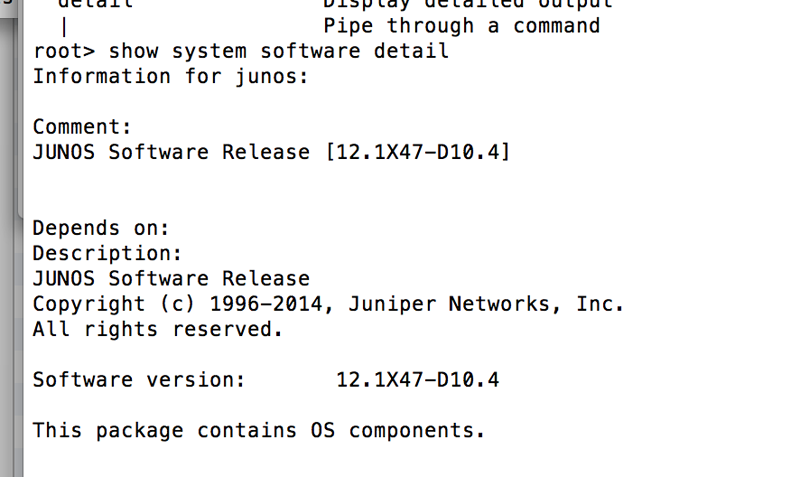 Go and download junos-srxsme-12.1X47-D10.4-domestic.tgz from Juniper. Now all we need to do is edit 2 files. In the +INSTALL file: Comment out line: 889 -> Error "Unsupported platform $product_model for 12.1X47 and higher"
In the +REQUIRE file: Comment out line: 889 -> Error "Unsupported platform $product_model for 12.1X47 and higher"
To comment out just add a # at the start of the line. Now we need to tar this back into a tgz file. Once done I changed junos-srxsme-12.1X47-D10.4-domestic-fixed.tgz back to junos-srxsme-12.1X47-D10.4-domestic.tgz, not sure if that matters. Now this process still leaves the SRX 240H with only 1GB of flash, but even with a dual root partition there is still 100M+ free space on the primary mount point. That should be fine for now, you might need to use external logging or a usb flash drive in future though. I am interested to know if this process works on 1GB ram devices, as these changes might allow JunOS X47 it install on them. Although I would recommend 2GB ram. This is the error that you will get if you try and install 12.1X47 on a Juniper SRX 210H (or 100B, 100H or any "first gen" srx). "Note: Upgrading to Junos OS Release 12.1X47-D10 or later is not supported on the J Series devices or on the low-memory versions of the SRX100 and SRX200 lines." I thought maybe it would just be the base memory devices e.g SRX100B or SRX210B but it looks like any SRX device with 512MB or 1GB ram are not supported. This is a shame as for example the SRX110H devices weren't that old and supported removable/upgradable CF cards. Even the SRX240B2 is not supported! You need 2GB of ram. The ASA5505 is good example of a device designed to last. Pity I like JunOS so much! I have a couple of SRX240Hs, these allow you to upgrade the ram (standard DDR2), so I wonder if an upgraded 240H will work.